This week, we’ll look at refined vs unrefined salt. 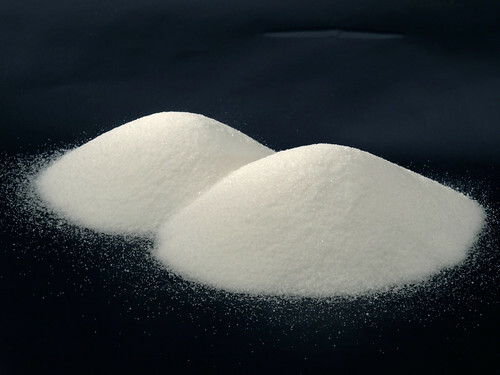 Refined salts can also have anti-clumping agents added such as calcium silicate. I saw some that contained dextrose, too. Dextrose is a sugar and is used to stabilize the added iodine according to the Morton’s FAQ. Let’s look at the minerals in unrefined salt. There are multiple types of unrefined salts on the market, but we’ll focus on the three that are easiest to find: Redmond’s Real Salt, Himalayan and Celtic Sea Salt. I purchase all three through Green PolkaDot Box. Redmond’s Real Salt ($2.78 for 9 ounces at Green PolkaDot Box, is less for the one-pound pouches but they’re out of stock) is a multi-colored salt mined in Utah. It comes from an ancient sea bed. Of the three we’re discussing here, it is the least expensive option. Real Salt has a mineral analysis on their website, click here to see it. It contains 59 trace minerals including sodium and chloride. Himalayan salt ($9.97 a pound at Green PolkaDot Box) is a pinkish salt mined in Pakistan from an ancient sea bed. A mineral analysis published in 2002 states that it contains 84 trace minerals. The anaylsis also showed it didn’t contain some of the things you don’t want, like mercury. Celtic Sea Salt ($3.72 per pound at Green PolkaDot Box) is a gray, moist salt made from sea water in France. The water is evaporated out of shallow ponds in order to claim the salt. It contains over 80 trace minerals, but I couldn’t find any documentation supporting that statement. I did find one document with an analysis of a few minerals. I also found a document on their site that stated their salt was 23.1% trace minerals (and stated that Real Salt contained 1.68% trace minerals). Trace minerals are elements. They are responsible for thousands of processes in your body. They are critical to your health. Modern farming processes have focused on just three nutrients, sometimes referred to as NPK- nitrogen, phosphorus and potassium. The other minerals are largely ignored in conventional farming. In fact, we know that the soils are slowly seeing these minerals decrease while farming concentrates on applying large amounts of NPK. Where are these trace minerals going? One hypothesis is that they’re being washed into the ocean as unhealthy soils can’t hang on to their nutrients. Of course, that statement is controversial as some scientists say there is absolutely no evidence that the soil has changed. One hypothesis is that the modified seeds don’t pull as much nutrition from the soil. But either way, we do know we aren’t getting what we used to in food. How much of a decline are we talking about? Up to 70% from 1950 to 1999 in some cases of certain nutrients from certain foods as obtained from one study done by the University of Texas at Austin that only looked at five nutrients. The study did find that a few nutrients in certain vegetables did increase- that is likely due to plant breeding to pull out beneficial characteristics. You see, the flavor of a fruit or vegetable comes from its vitamin and mineral content. You can read more about the nutrient decline in soils and see many graphs at Traditional Foods. The intake of trace minerals are a cornerstone of a traditional foods diet, as American diets are woefully inadequate for most minerals. Therefore, I will stick with unrefined salts to help make up for the loss of trace minerals in fruits and vegetables (and consume heirloom instead of commercial fruits and veggies). From both the trace mineral and the iodine standpoints, we choose to use unrefined sea salts exlusively in our home. Salt can store indefinitely in a sealed container. I would encourage you to order in bulk and store it in order to save on the price per pound. The average American adult uses around 5 pounds of salt a year. I currently use a combination of all three, but that is changing. Next week, I’ll share more about my decision to no longer support one of these companies and why. I’ve been using Celtic sea salt from France for the past seven years or so. I recently added Himalayan because I got a good price on a lb size from the Raw Food World (I’m a benefits member, so I get 14.5% off all prices). I’ve been buying my salt in bulk at http://www.saltworks.us. They often offer free shipping. I get 5 lbs at a time that lasts me a while. They have a huge selection of retail and bulk salts. I have no affiliations with them beyond being a satisfied customer. Marjorie, I was given more information on the subject and I am still working on the post. I hope to have it out in the next week or so. The refined sea salts I have don’t seem to be the same as regular Morton’s salt. They don’t have analyses of their trace minerals on the package, but the sodium content varies. Morton’s has 590 mg sodium per serving, while Trader Joes sea salt (in the blue cyclinder, 26.5 oz) has only 440 mg and Eden’s Portuguese sea salt has 408 mg. I wonder what makes up the difference? I’ve tried Real Salt, but I can taste/feel sand in everything I cook. Not acceptable. I’m using the Concentrace you recommended, but can’t see spending so much more on salt at this point. Margaret, could you tell me what the serving sizes are in grams? Concentrace is a low-level trace mineral supplement, and it won’t give you the same amount as the salts themselves. Have you tried the pink Himalayan salt? That doesn’t have the undissolvable iron so there’s no grit.